These openwork cages hug your earlobe like a corset. 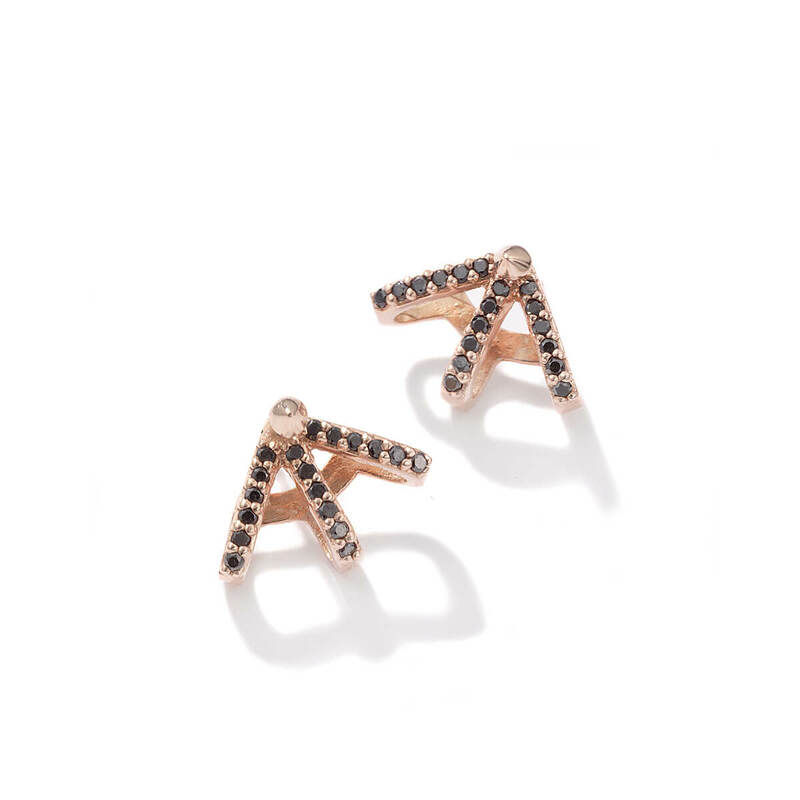 It’s an innovative and elegant new earring shape that is an instant classic. 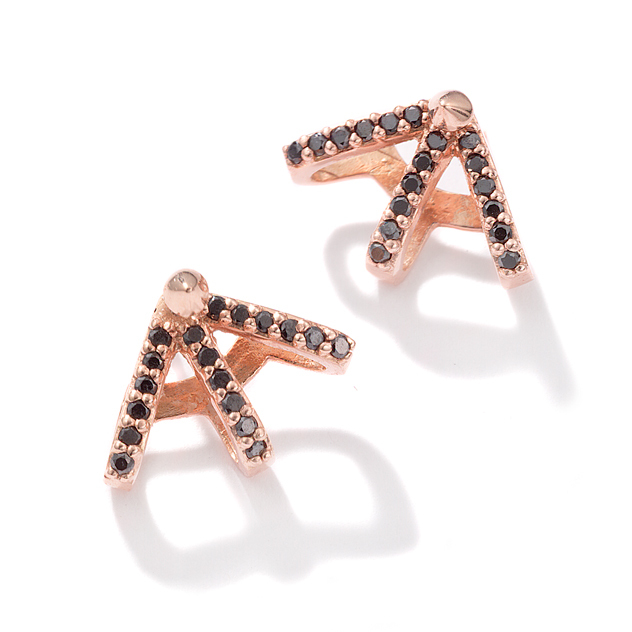 Made in New York City in 14k rose gold and black diamonds. 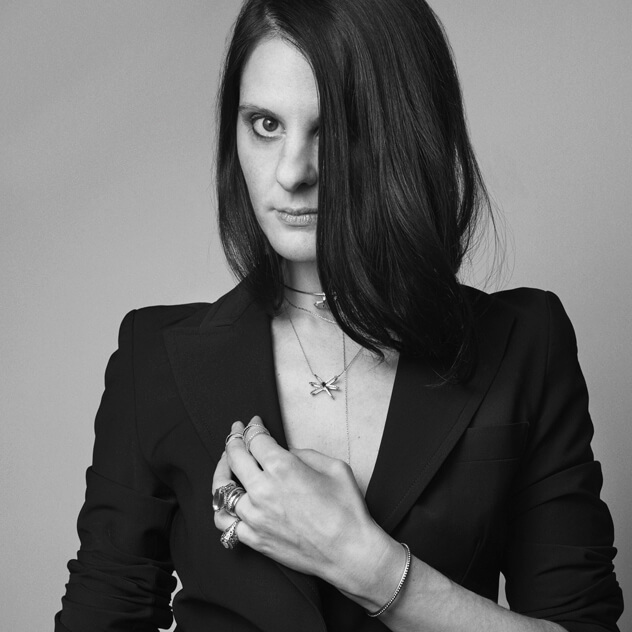 Meredith Kahn creates earrings that are simple but clasp your earlobe in a totally new way. No one else makes an earring that hugs your ear lobe from the bottom like these ear cage earrings. Edgy? A bit. But also elegantly refined.